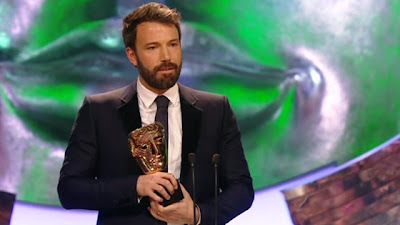 The British Academy of Film and Television Arts (BAFTA) held the gala ceremony for the 16th Annual EE British Academy Film Awards this evening at London's Royal Opera House. 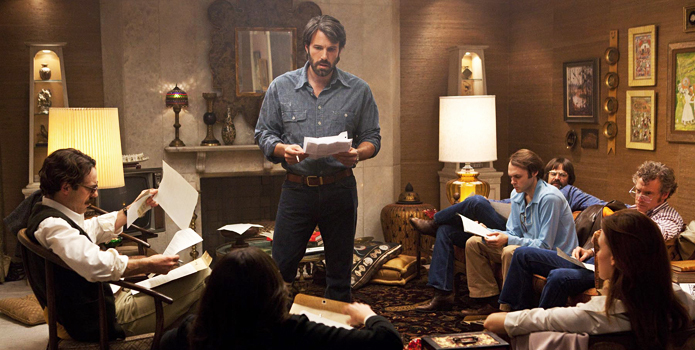 Ben Affleck's Argo continued its winning ways in winning the top prize of Best Film. It also won for Best Director and Best Editing. It is interesting to see him take yet another Directing award, because he is not nominated for Director at the Academy Awards. Steven Spielberg's Lincoln had led the field with 10 nominations including Best Film. Its only win, however, was the Best Actor prize for Daniel Day-Lewis. Tom Hooper's Les Misérables took the biggest number of awards with four. It won for Best Supporting Actress (Anne Hathaway), Production Design, Makeup & Hair, and Sound. Films with two trophies included Skyfall (Outstanding British Film, Music), Amour (Actress Emmanuelle Riva, Film Not in the English Language), Django Unchained (Supporting Actor Christoph Waltz, Original Screenplay), and Life of Pi (Cinematography, Special Visual Effects). Tessa Ross was presented with an award for Outstanding British Contribution to Cinema. Sir Alan Parker was presented with the BAFTA Fellowship by Kevin Spacey. The public-voted Rising Star Award went to Juno Temple.